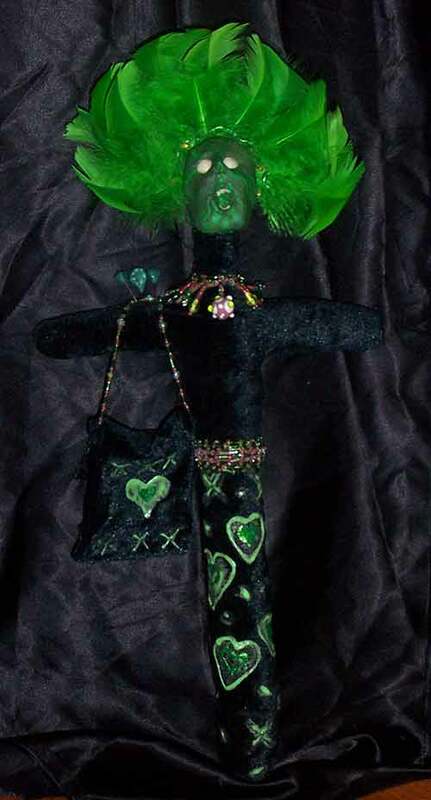 Each doll I make is not only a unique, one of a kind work of art. 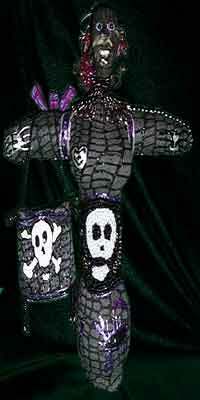 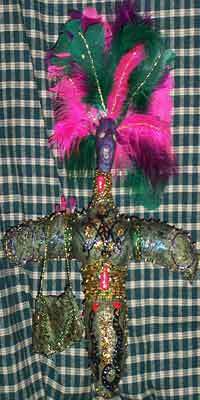 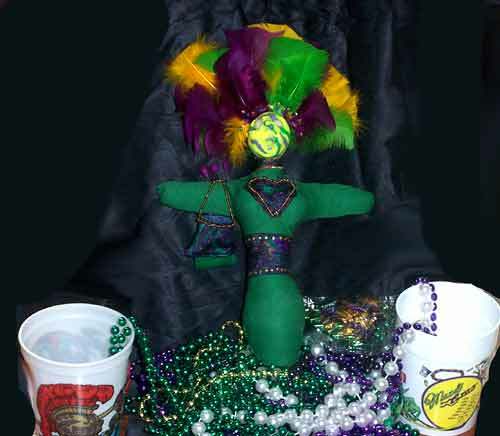 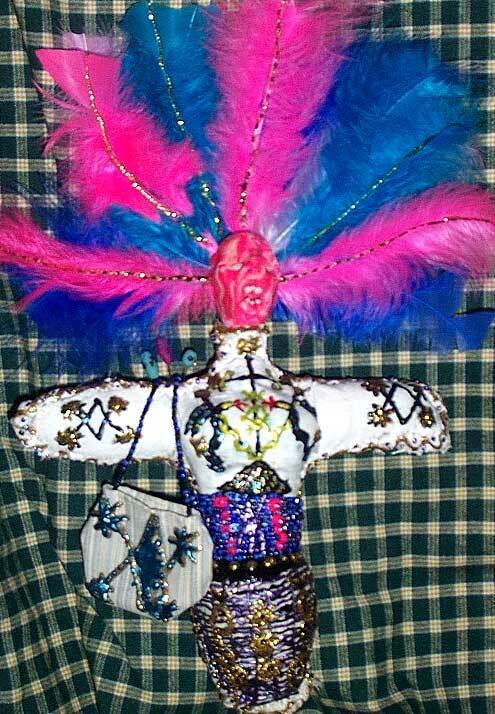 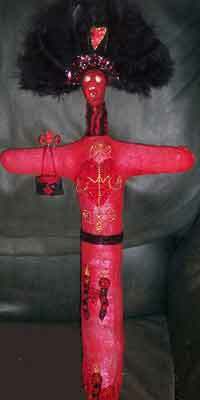 It is also an authentic New Orleans Voodoo doll. 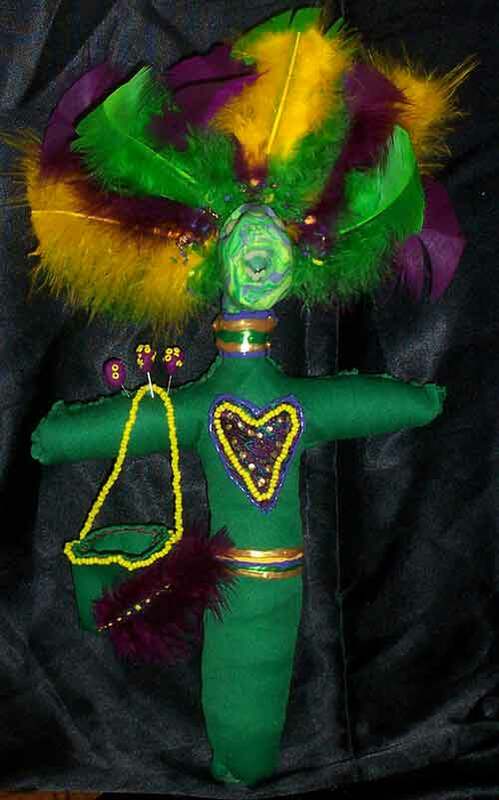 I use a variety of materials on my Voodoo dolls including, precious stones, fancy glass beads, feathers, silks, wool, mirrors and even real pearls! 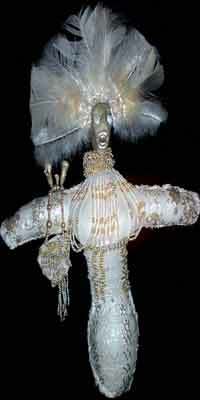 Each head is hand sculpted. 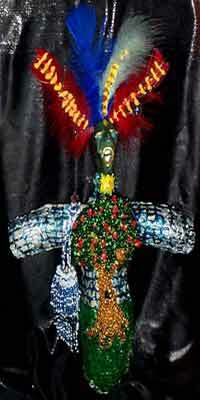 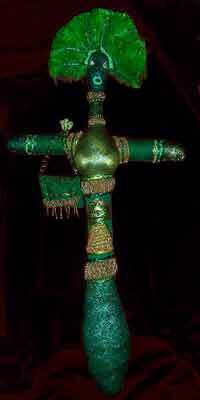 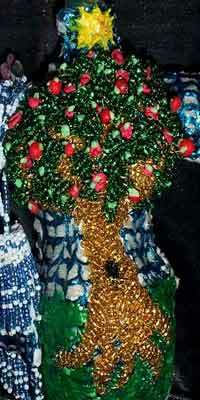 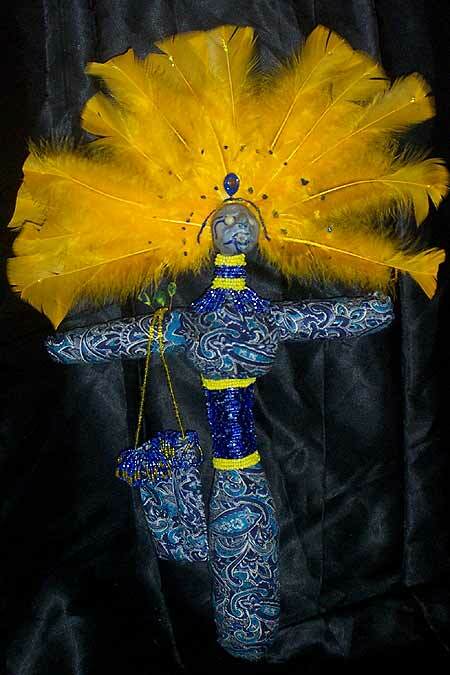 Most dolls are elaborately hand beaded and painted. 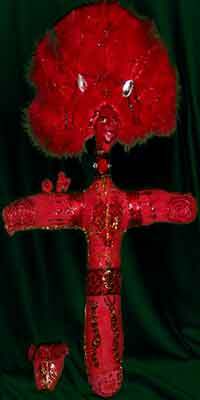 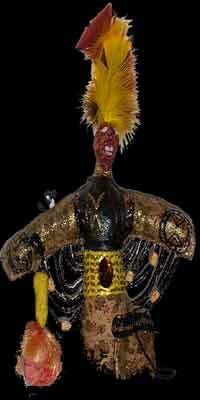 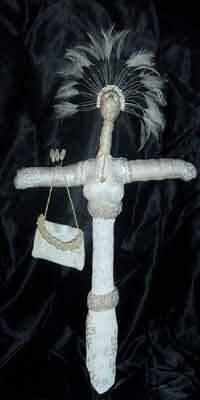 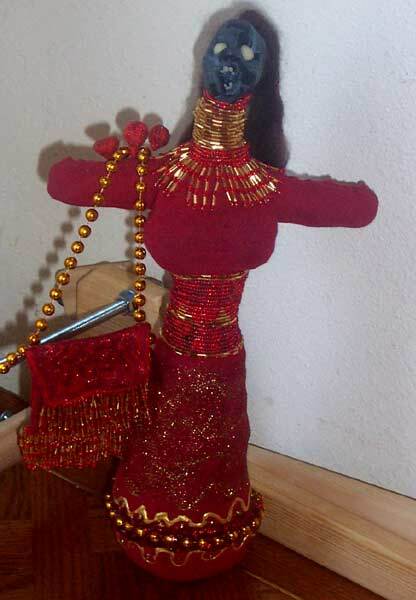 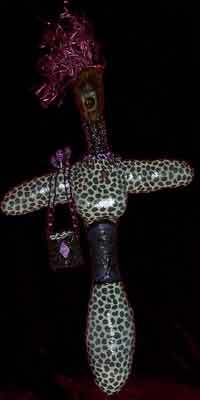 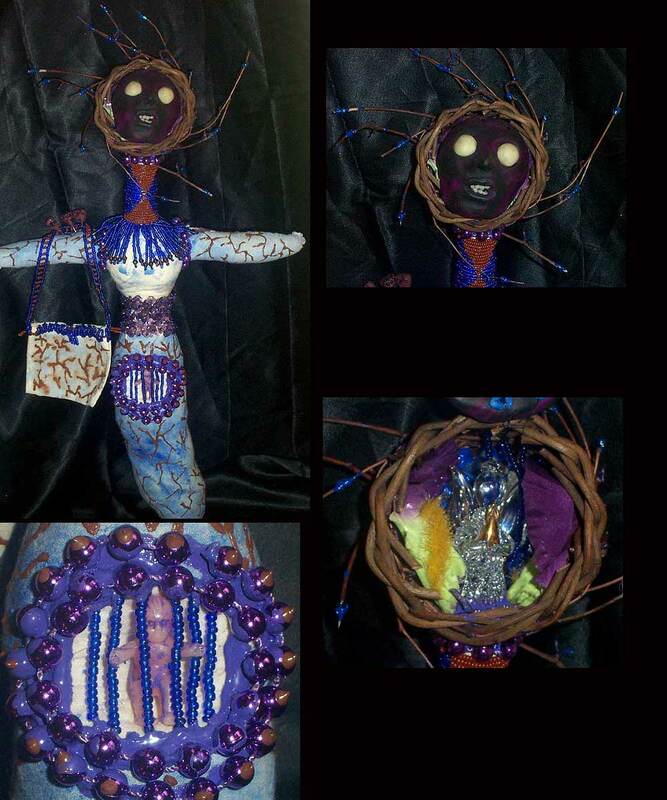 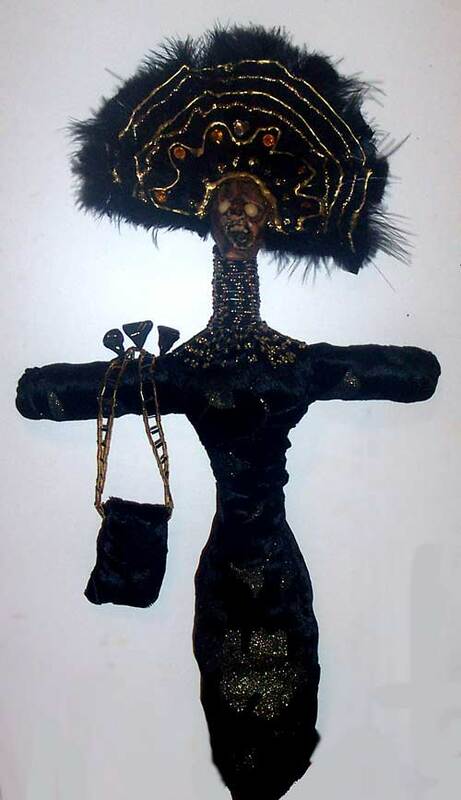 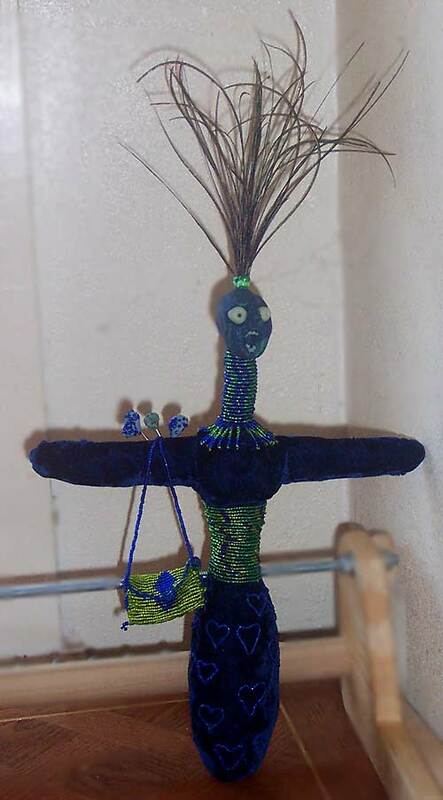 My dolls have been sold to both art collectors and people who use them for Voodoo rituals. 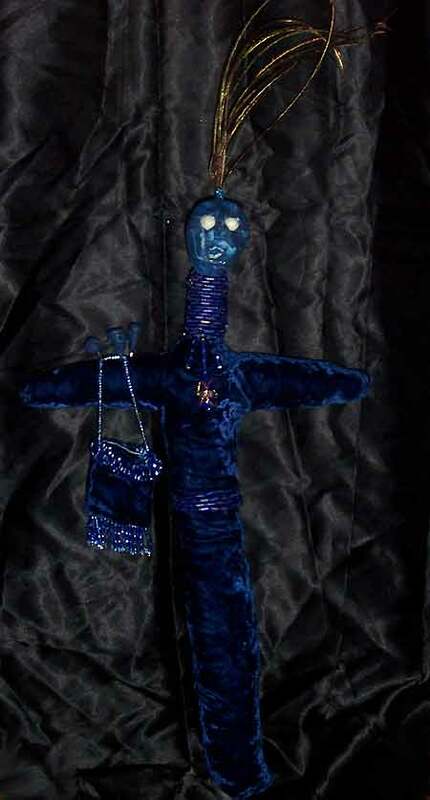 All of my new dolls are currently available for sale. 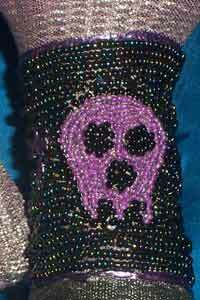 To view details about them and buying information, please click the images! 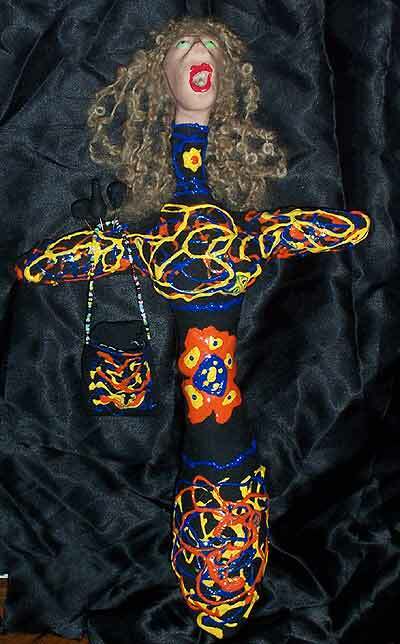 A protection doll can be used for a variety of purposes. 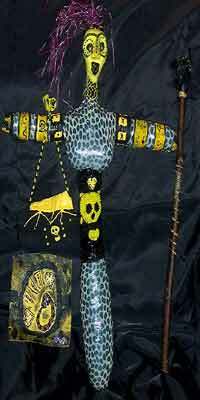 Some can be used to convert an enemy, or person who means you harm. 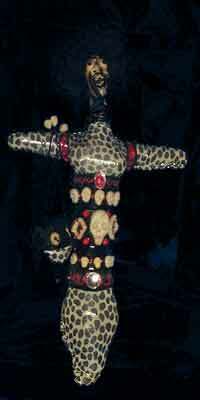 Others, to keep bad people, illness, bad luck or other kinds of ill fortune away. 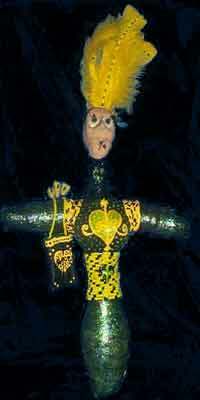 many are even used to protect against inner turmoil. 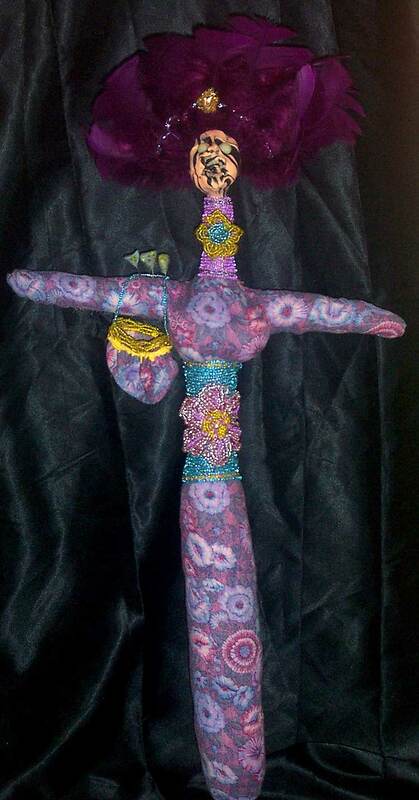 Here are some protection dolls I have made. 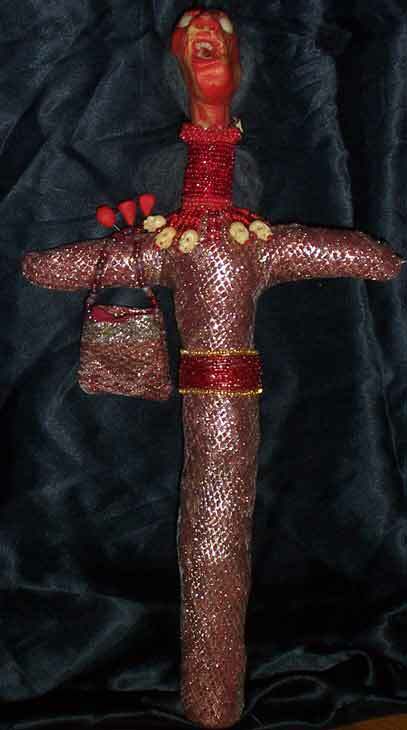 Also called wish dolls, a desire doll is meant to attract your greatest desires. 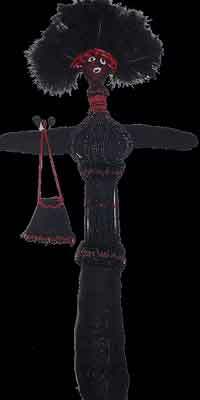 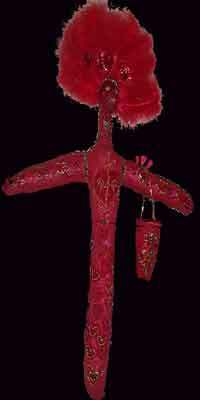 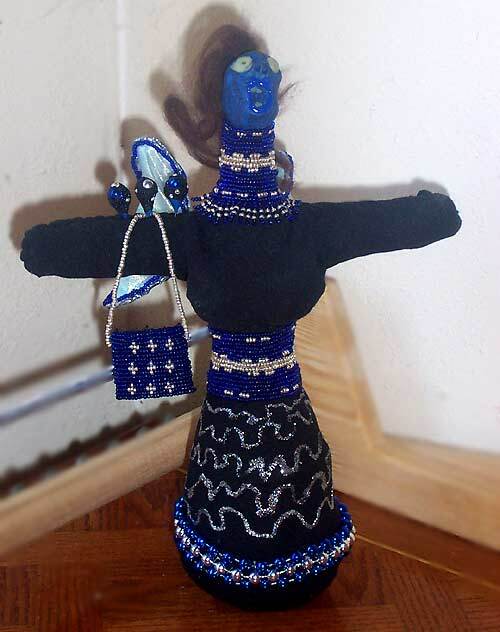 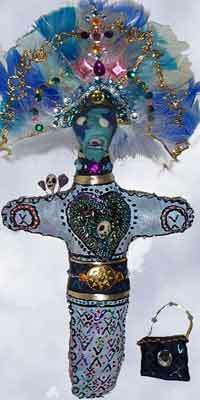 Desire dolls can be used to attract love, romance, passion, fertility, money, friendship, good health..... basically anything the human heart yearns for. 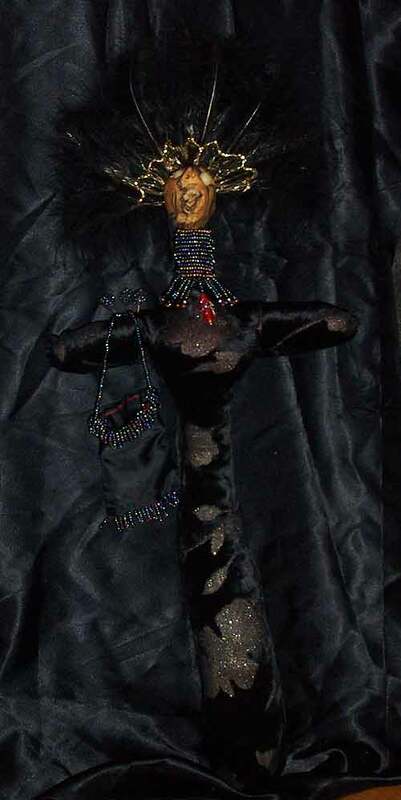 Most of the custom dolls that have been ordered have been love and passion dolls. 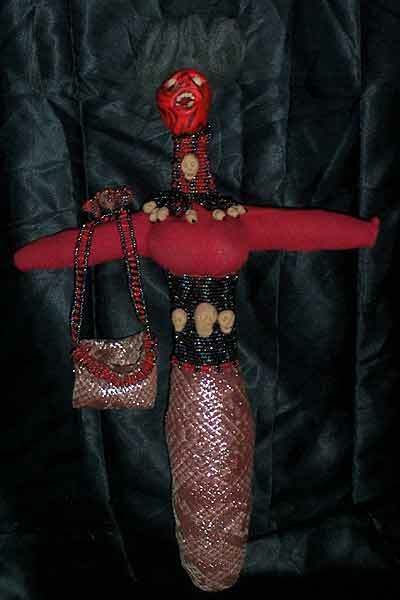 Here are some desire dolls that I have made. 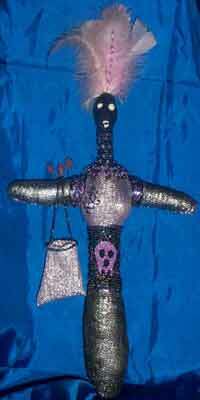 Revenge dolls are tricky. 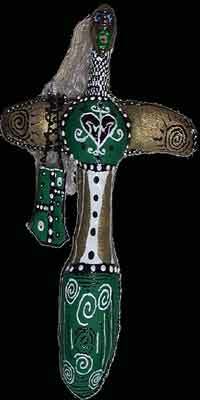 While cathartic to make, they can be rather dangerous to use. 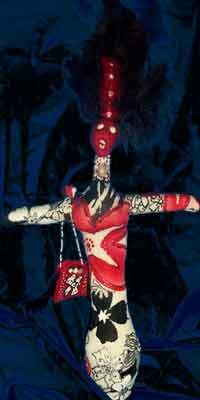 One should be careful to only use a revenge doll against someone who has legitimately done them harm. 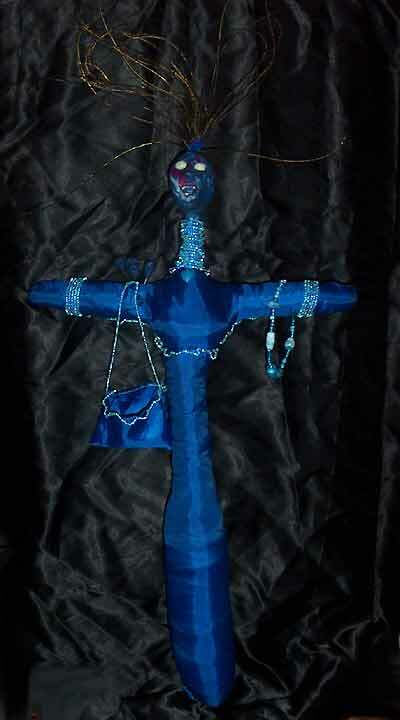 If used against someone who is not in the wrong, the repercussions against the user can be severe. 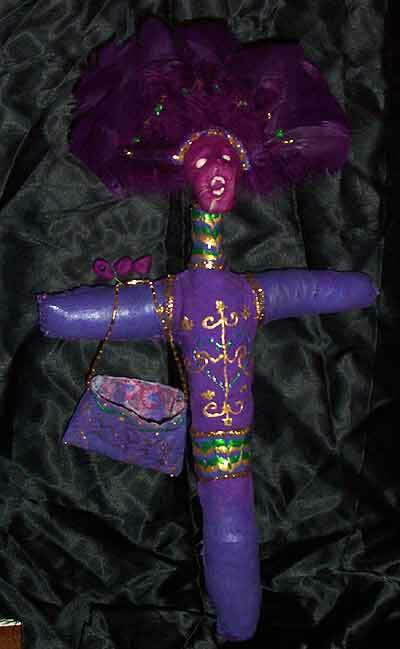 It is usually better to use a protection doll to convert or repel an enemy instead of a revenge doll to harm them. 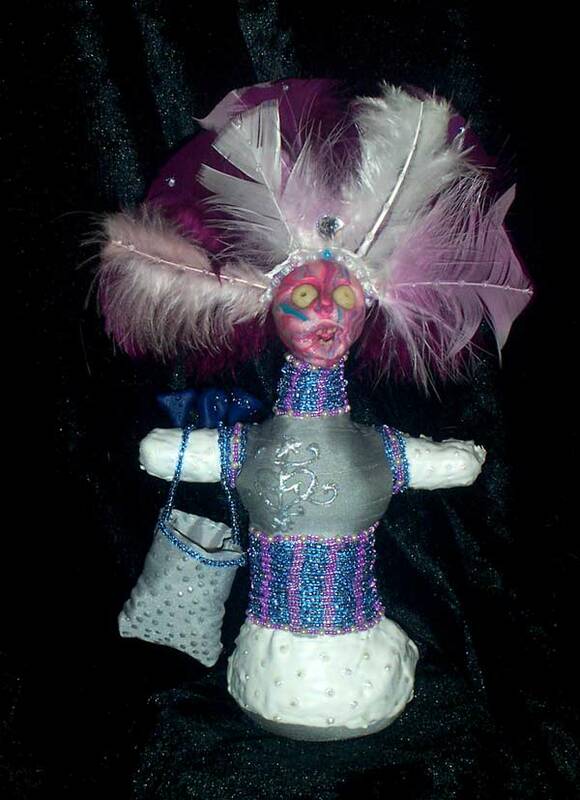 Here are a few revenge dolls that I have made.